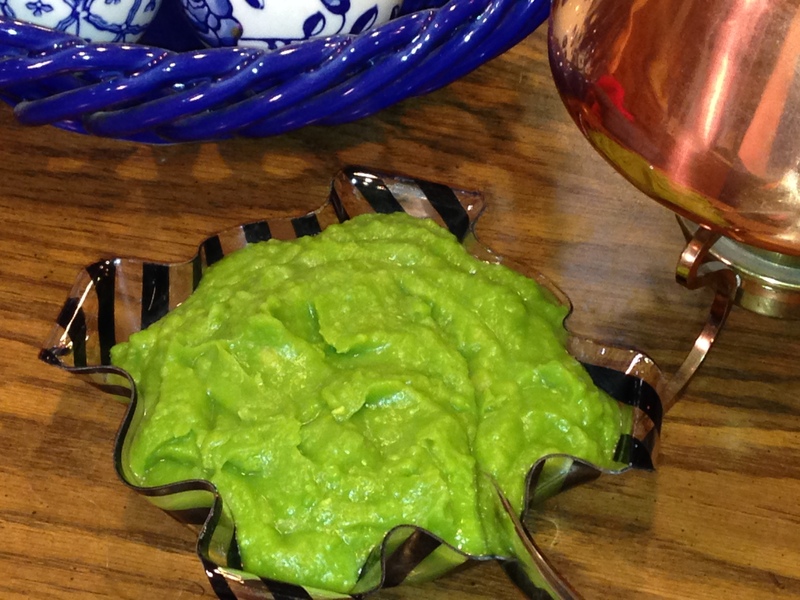 Mushy Peas: A Super-Food Disguised As A Side Dish! Mushy Peas. Could this sound any more disgusting? Mushy anything is usually not a good thing. Mushy apples, mushy lettuce, mushy sandwich. No thanks, I think I’ll give that a miss. But Mushy Peas? Well, that’s something else. It’s very common in the UK, served along side fish and chips, or a nice pie. Not only are Mushy Peas tasty, pretty (vivid green), easy, and cheap, they’re also amazingly good for you. When I googled ‘Mushy Peas’ recently I was astounded – they’re full of protein, fibre, and all kinds of nutrients. Who knew something so delicious could be so good for you? They make a wonderful side dish to many foods, plus they add that lovely green to the plate. Now I’m sure I’m going to get some flak for this, but I use split peas to make my Mushy Peas. In the UK they use marrowfat peas. But I live in the US and can’t find them here. I can find tinned mushy peas, but what a waste of money! Also, the green food coloring they put in the tinned ones is becoming a health concern. Who needs the grief! Making them yourself is MUCH cheaper. And split peas make delicious Mushy Peas – I don’t care what anyone says! Even though they only take about 15 minutes to cook – you do have to plan ahead because the peas need to soak at least 8 hours. Usually I just get the soaking started before I go to bed. But if I forget, I can still get them soaking in the morning before 9AM and they’re fine. IMPORTANT: don’t skip the baking soda! You might not think it makes a difference, but it does. I didn’t think it would be any big deal to leave it out so I did a couple of times. The first time I’d forgotten I left out the baking soda and couldn’t figure out why the peas took so much water to cook and the peas just didn’t come out right. Plus they were a khaki brown color instead of the pretty bright green from before. Next time, I left out the soda again – it still had’t occurred to me how important the soda was (duh!) – and the same thing happened. THEN it hit me – ‘Oh, yeah! I guess I should have followed EVERYONE’S instructions – use baking soda.’ Since then, the peas have come out perfectly. At least 8 hours before cooking time soak the peas in plenty of water and the baking soda. Stir it up to dissolve the soda. About 20 minutes before serving time rinse the soaked peas in a sieve, then put them in a small saucepan (or larger depending on how many dried peas you’re using). Cover the peas with about ¼” of water and turn on the burner to a medium low heat. Keep a close eye on them because they’re going to start foaming once they start boiling. When that happens, turn down the heat and keep them simmering until the water is ALMOST absorbed. Then turn off the burner and let them finish cooking from the remaining heat. (If you cook them to the point where the water is gone – even if they look perfect – they will get really dry really fast.) You don’t have to mash them – it just happens on it’s own. Add in salt (a little goes a long way – I use just under 1/4 tsp salt for this amount) and any other flavoring. In the UK, sugar is often added. This entry was posted in Side Dishes and tagged Bonnie Antonini, Mushy Peas, side dishes, Vegetarian Cooking For Carnivores, vegetarian recipes. Bookmark the permalink. ← Homemade Pasta: Crazy Obsessive? Or Just Crazy?